When I get stressed, I’ve notice my heart races and I have a hard time catching my breath. What should I do? First, I would most certainly recommend that you make an appointment with your primary care physician to ensure that there isn’t something medically wrong that needs to be treated. Assuming that you are medically cleared, it sounds to me like you may be experiencing the symptoms of a panic attack. 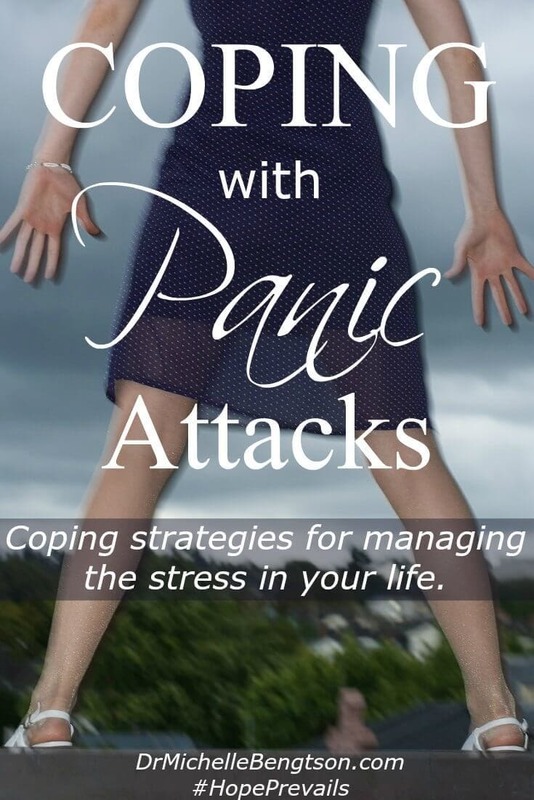 A panic attack is in essence a collection of physiological symptoms which is your body’s reaction to anxiety. But panic attacks can mimic other medical conditions which is why I first suggested you see your medical doctor to rule out other medical conditions. In the case of panic, it’s important to recognize that it will pass. It’s also helpful to know that it is impossible for you brain and your body to be relaxed and anxious at the same time. So if you will take a few really deep breaths, and concentrate on relaxing rather than focusing on the panic, it will help. You mentioned that this tends to happen when you are stressed. I’d encourage you to find some better ways of coping with your stress so that your brain and body don’t resort to anxiety and panic. The Bible says to “Be anxious for nothing, but in every situation with prayer and thanksgiving, make our requests known to God” (Philippians 4:6). That’s about the best stress-reduction strategy I can offer. Here are a couple of other tips to consider. Maintaining a consistent sleep schedule and regular physical exercise help mitigate stress. 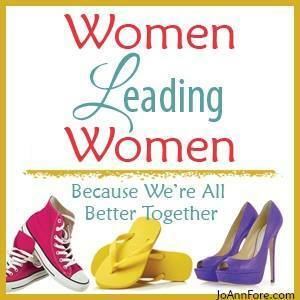 Focusing on the positive also helps-thanking God in the midst of our struggles helps us do that. Taking regular breaks is important. If you need help coming up with additional coping strategies for managing the stress in your life, you may want to consider consulting with a therapist for a few sessions. Keep in mind, most of what we worry about never comes to pass. A short brief about Hope Prevails. Speaking from personal and professional experience, a neuropsychologist unpacks what depression is, shows how it affects us spiritually, and offers hope for living the abundant life. 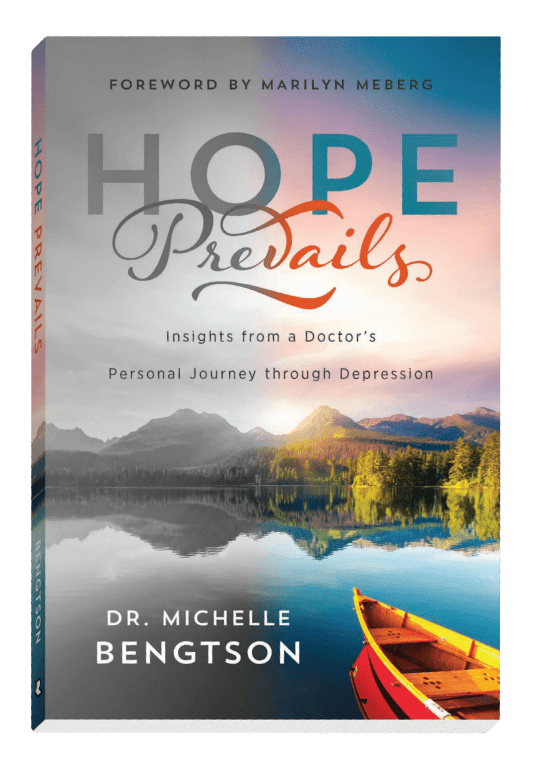 In Hope Prevails, Dr. Bengtson writes with deep compassion and empathy, blending her extensive training and faith, to offer readers a hope that is grounded in God’s love and grace. 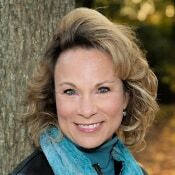 She helps readers understand what depression is, how it affects them spiritually, and what, by God’s grace, it cannot do. The result is a treatment plan that addresses the whole person—not just chemical imbalances in the brain. 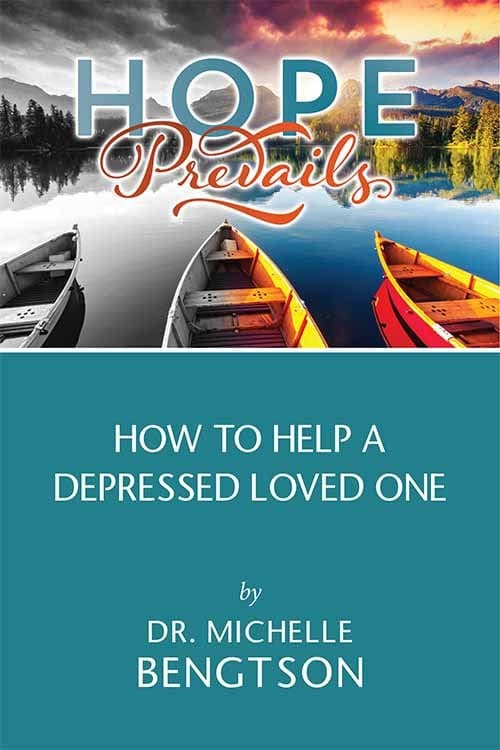 For those who struggle with depression and those that want to help them, Hope Prevails offers real hope for the future. Hope Prevails is available now wherever books are sold. 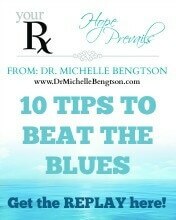 To find out more, see: https://drmichellebengtson.com/hope-prevails-book/. Thank you for this! So simple. Deep breaths. Relax. Pray. Seek help when necessary. Easy to remember. I appreciate this. Janet, the key is that your brain can’t be relaxed and anxious at the same time. Relaaaaaaax. I loved a saying on FB which said that people who suffer panic attacks are not a sign of weakness but actually because we have been very strong for too long; ..which fits me to a T.
Yes Mary, the same can be said about depression! Hope Prevails! I would also say to watch what you are telling yourself when you are having a panic attack. Our behaviors follow our thoughts and so we can change our behaviors by changing what we tell ourselves. Just something I find helpful. I have anxiety attacks too. So very true Anne! Our thoughts can either help or hinder! Good point. I think there needs to be a distinction between anxiety and a panic attack. 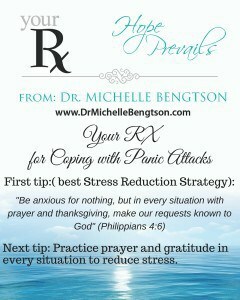 Anxiety can be eased by taking time to breathe, to pray, to write out what you are dealing with and come up with a plan. All very logical and sensible. A true panic attack is just that, an attack. There is no logic. Breathing deeply does not help. Telling yourself to relax and look on the bright side does not help. While the above post has awesome, helpful tips for coping with anxiety, for someone dealing with full blown panic attacks, telling them to essentially pull themselves up by their bootstraps and find ways to get themselves over it can seem very discouraging. 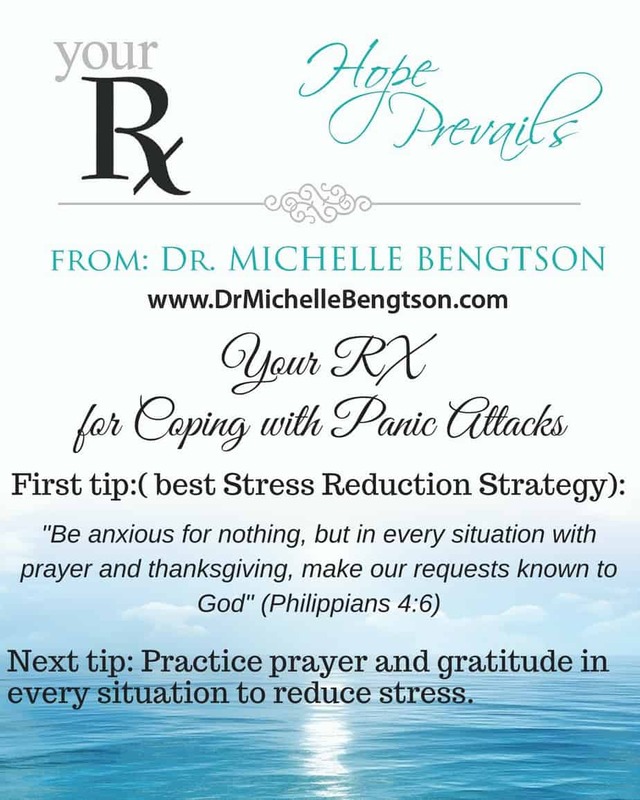 If you are suffering from actual panic attacks, often accompanied by uncontrollable shaking, the feeling you are trapped and going to die, please seek help from a counselor, pastor, therapist or doctor. 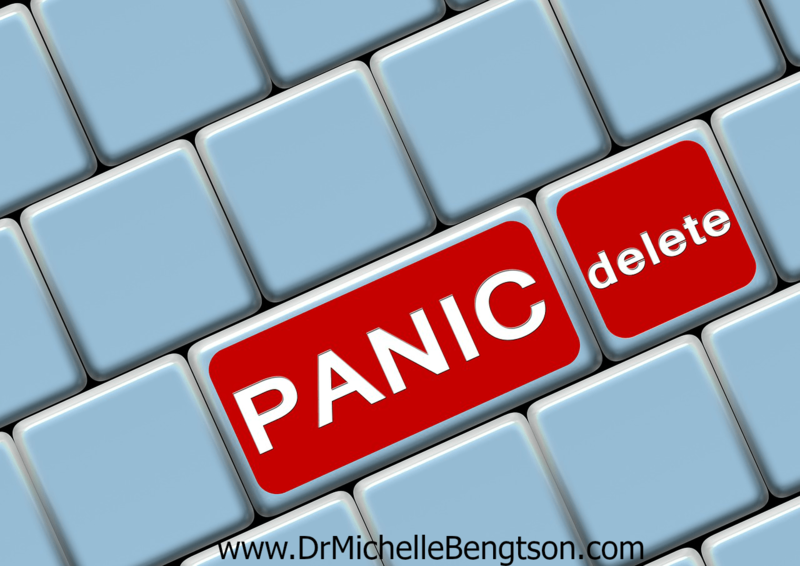 Panic attacks leave you feeling like you are truly losing your mind and are going crazy. Don’t try to go it alone. There are people who can help. Almost Finished! Check your Email to Confirm Subscription. Your data is safe with us. 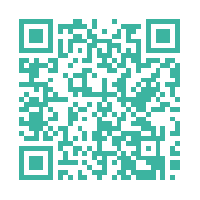 We won't spam you! Subscribe to get regular emails and you'll be the first to be notified of hope-filled articles, valuable resources, and upcoming events. 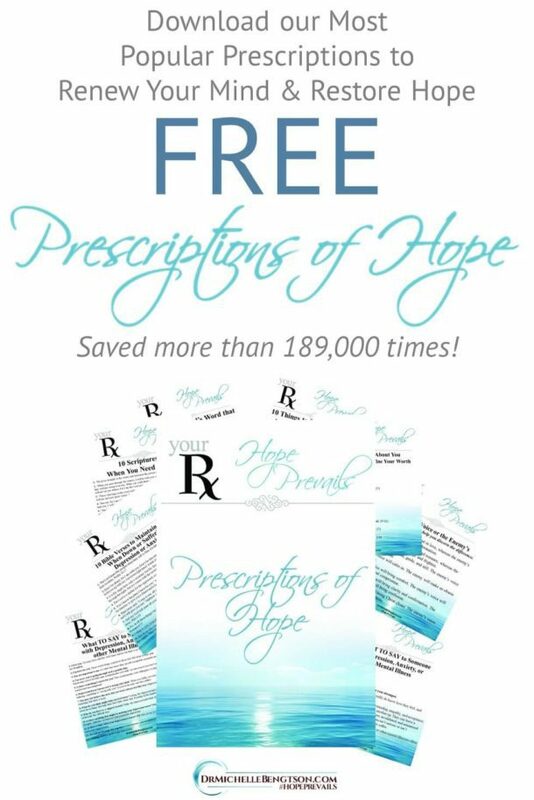 Get Instant Access to our most popular Prescription of Hope Printables (saved over 189,000 times).